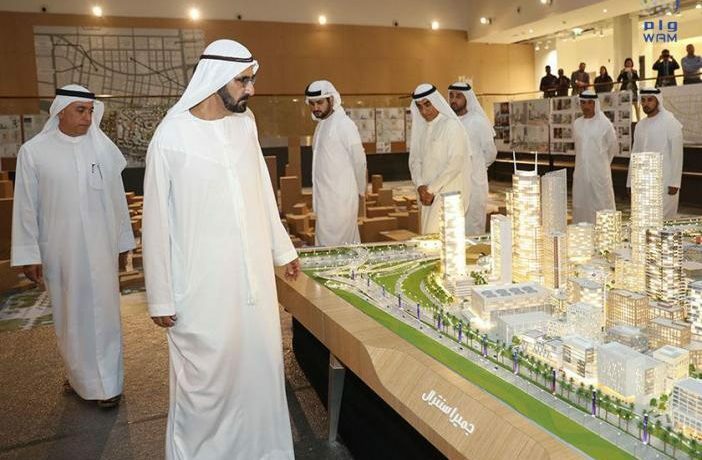 The Vice President and Prime Minister of the UAE and Ruler of Dubai His Highness Sheikh Mohammed bin Rashid Al Maktoum on Saturday announced the launch of Jumeirah Central, an urban mixed-use city district expected to become a comprehensive model for future urban planning in Dubai and around the world. 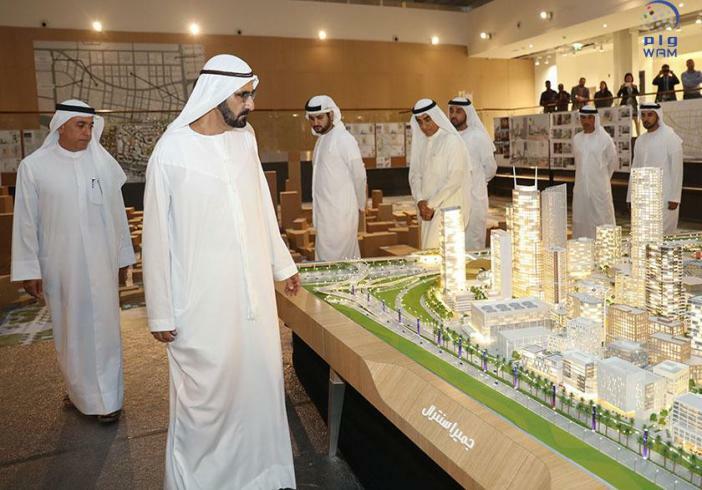 The district will comprise 47 million square feet (sq.ft) of gross floor area (GFA) along Dubai’s Sheikh Zayed Road and will introduce new international standards in city planning that are able to balance requirements from an environmental, urban development and societal perspective, conceptualising Sheikh Mohammed’s vision of Dubai’s future development and evolution. Jumeirah Central will have smart world-leading infrastructure that includes a multi-modal transport network, environmentally-friendly transport options and aerial gondolas. The district, of which over half will be open space, will offer one million sq.ft. of climate-controlled arcades for all-season lifestyle and a comfortable pedestrian experience. Commenting on the announcement, Sheikh Mohammed said: “As our vision for future cities evolves, Dubai will continue to set the benchmark for city development across the globe. “Jumeirah Central is a clear milestone in our journey towards building the city of the future and the creation of engaged and happy communities. “We will not stop investing in our economy, and these projects are tools to expedite that journey of growth. The district is located on Sheikh Zayed Road with 25 points of vehicular access. Residents of Jumeirah Central will enjoy a self-sufficient and holistic mixed-use experience, through a range of facilities including schools, offices, parks, shopping centres, smart police services and comprehensive community amenities. The all-season city district will comprise nine million sq.ft of retail space including three malls, 4.5 million sq.ft of outdoor shopping space and supported by more than 44,000 car parking spaces. A unique tourism destination, Jumeirah Central will offer 7,200 hotel rooms, which will be the largest number of hotel rooms centred in one district. Mohammed Abdullah Al Gergawi, Chairman of Dubai Holding, said: “Jumeirah Central is a result of extensive research into future urban development and the creation of more cohesive societies. “It is a clear demonstration of our leadership’s vision, aiming to further Dubai’s global position as an attractive destination for residents and tourists alike. Jumeirah Central was unveiled at a private event in the presence of His Highness Sheikh Maktoum bin Mohammed bin Rashid Al Maktoum, Deputy Ruler of Dubai; Mohammad Abdulla Al Gergawi, Chairman of Dubai Holding; Khalifa Saeed Sulaiman, Director General of Dubai Protocol and Hospitality Department; Ahmad Bin Byat, Vice Chairman and Managing Director of Dubai Holding; Fadel Al Ali, Chief Executive Officer of Dubai Holding, and Huda Buhmaid, Chief Marketing Officer at Dubai Holding.